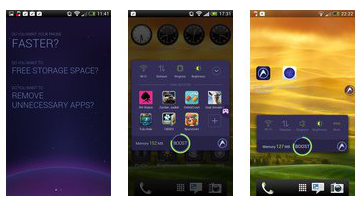 For a long time we did not have useful applications and that came across quite original launcher for android, which is really useful, especially for children and seniors. Very interesting app for android which had to use more than 100 million people, where such popularity? - Let's see! Time of the battery continues to excite the majority of mobile phone owners today, unfortunately these manufacturers ohadacheny not all, so harnessed and developers offering their solutions. 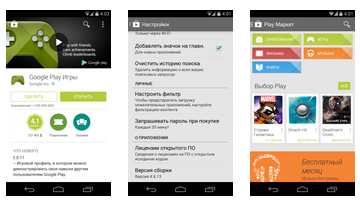 Hello everyone, today we will talk about the upgrade shop Google Play. The new version number is 4.9.13, and in two weeks will be available for all Android-devices. In general, everything remains the same, but if you go to the menu of a particular application or game, you will see the new design in style Material Design. 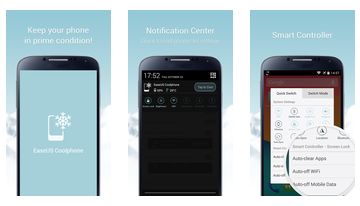 Material Design The main screen saver has become more and is now located at the top, below is a summary of possible actions and buttons. The next screen displays the application rating, genre, and similar games. TeamViewer application has been known for many years, and has helped millions of people around the world, it is used by various masters and technical support around the world, and finally it appeared on android! Hello, friends! 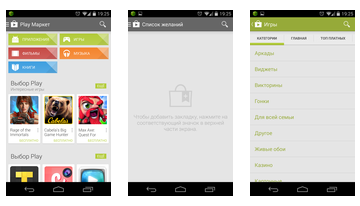 And today we'll talk about the upgrade of mobile application store, Google Play. 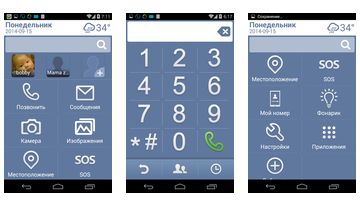 Version 4.6.16 has received not only new features, but also slightly updated design. 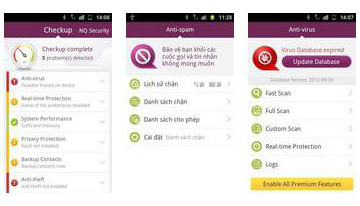 XCore Antivirus program will help your android continue to benefit from the majority of malware which, unfortunately, is becoming more popular for a growing audience of users, viruses evolve and become smarter and less visible, but the opposition is growing, creating new systems of tracking and disposal, one of the such we are now, and you want to present. 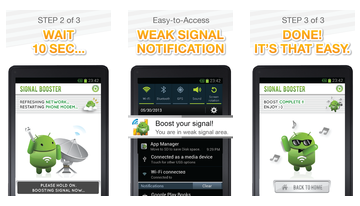 Signal Booster 2X - is an application that allows you to quickly restore your communication signal (3G/4G/LTE and Wi-Fi), and even increase it twice in a weak coverage. While there is a process of improving the quality of communication, you can enjoy a nice animation in the style of Droid. All you need is to click on the "signal boosters", wait 10 seconds, and you can enjoy the incredible speed signal and Wi-Fi. 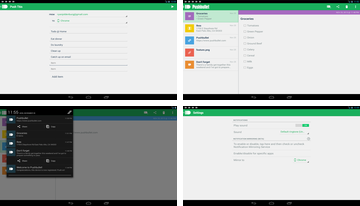 Clean Master app is a lifesaver for your android, which contains all that you can think of to clean the system of processes, unnecessary files and other debris. Uniqueness and convenience of the program is that it simultaneously unites that is usually divided into two, three or even more separate programs. AVG Uninstaller application created by famous publisher of AVG to make sure you always have a place for you what you need, it will help filter out all the unwanted or unused, helping to not only free up a lot of space, but also a little speed up your device.
. Any Android software may be included in several sections. 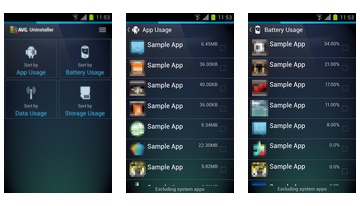 In the system software, as well as throughout the site, you can all Android software for free.